April 20 is Talk to Your Kids About Money Day, a program of the Canadian Foundation for Economic Education. Find a list of tips for creating money-talk opportunities here: TALK WITH OUR KIDS ABOUT MONEY There are also resources for educators and professionals in the financial services industry. Make money matters a family matter! Has Ho! Ho! Ho! become Owe! Owe! Owe? 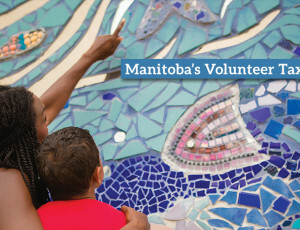 The Community Volunteer Income Tax Program (CVITP) is a national outreach program run in collaboration between the Canada Revenue Agency (CRA) and community organizations in each province. The CVITP volunteers prepare basic income tax returns for low income individuals (with individual incomes under $30,000 or family incomes under $35,000) whom are unable to do so themselves. This enables low income individuals to file for benefits they otherwise would not receive. As well, many senior centres across the province offer special clinics for income tax preparation.